Max MountBoard is a specialised board used by galleries, picture framers and photo makers for mounting photographs, pictures and paintings. The thickness of Max MountBoard creates an air gap between the glass and the picture and reduces the risk of damages by condensation. 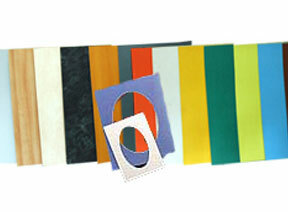 Max MountBoard is available in a wide range of attractive top layers in varied colors (including metallic). A toning or contrasting mountboard with bevelled edge opening creates space and enhances aesthetics of the framed picture. Non-acidic (with alkaline buffers): will not affect the picture over prolonged periods. Soft core, without fluff: allows the framer to cut the board in a smooth and easy swipe, without damaging machinery or the blades. Accurate calliper, lay-flat and dimensionally stable.